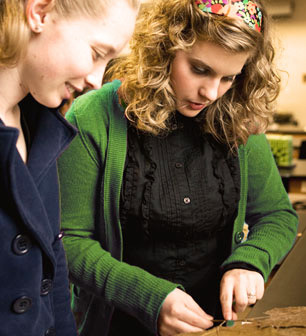 Graduates of women’s colleges are more than twice as likely as graduates of coeducation colleges to receive doctorate degrees. Nearly half the graduates of women’s colleges have earned advanced degrees and 81% have continued their education beyond college. Graduates of women’s colleges are more successful in careers; they tend to hold higher positions, are happier and earn more money. On Business Week’s list of the 50 women who are rising stars in Corporate America, 30 percent received their baccalaureate degrees from women’s colleges. 33 percent of the female board members of Fortune 1000 companies are women’s college graduates. Nearly one-fourth of current female congress members attended women’s colleges. One of every seven women cabinet members in state government attended a women’s college. 20 percent of women identified by Black Enterprise Magazine as the 20 most powerful African-American women in corporate America graduated from women’s colleges.